Most lawsuits settle before the trial. Lawyers recognize that negotiation skills and knowledge are now necessary to success in handling litigation. We intend to fill your need for the best legal negotiation and settlement texts, tactics, checklists and forms. Our catalog will lead you to our texts, checklists, and forms. We want you to have the best of the negotiation tools and forms, checklists, releases, motions, and orders you need to negotiate well, to settle the case, and to close the negotiated settlement so that it stays closed. The case summary letter is a proven format for evaluating your case and then communicating your estimate of the case to the client (or insurer). For both the plaintiff’s lawyer and the defense attorney, for any type of case. This is advice on what to do and how to do it. It is a system — a format and suggested language, for a multi-page initial settlement offer that both plaintiff and defense attorneys can use to advantage. 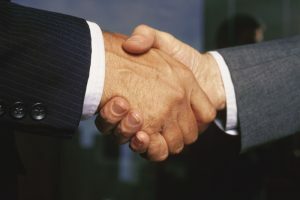 The proven theories of both positional negotiation and relational negotiation dictate that your side should make a power offer at the start of negotiations. Make that offer an offer with Impact! This form is one that plaintiff’s counsel needs every time he/she needs to use a Letter of Protection to get medical services for a bodily injury claimant. There is a big plus bundled with this form letter — an eight page law report for you, summarizing a plaintiff lawyer’s duties on disbursing settlement funds when medical bills are part of the litigation. A “Best Practice.” You can put the “medical bill amounts” part of settlement on auto-pilot, with your secretary sending these requests out to all medical providers before you go to that final settlement conference, or mediation, with your client. This is a free Power Litigation™ article discussing the three most often overlooked preconditions to settlement. This is a short and universal release of all claims of one party (only) arising out of one occurrence of any sort. Two general release of claims forms – one for the plaintiff to offer, the other for the defense to offer — plus separate discussion and forms for some of the clauses. A broad form settlement of any possible claim by either party. A complete release of claims for an insurer from a plaintiff claiming he/she/it suffered a contract breech or tort by the insurer. Handy form letter that your secretary can send out after settlement of the case, telling each of your witnesses that expected to testify that the case has been settled. From time to time we showcase an article about the negotiation to settle lawsuits. These articles can be useful to both new and experienced lawyers. Here is the present item we suggest for your reading.